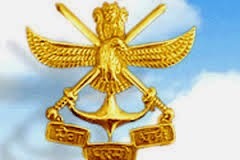 Union Public Service Commission has issued notification for conducting NDA-I and Naval Academy (NA) Examination (I) on 20 April 2014 for admission to Army, Navy and Air Force wings of NDA for the 133rd Course and 95th Naval Academy Course. The course is commencing from 02 Jan 2015. The details of the exam are given below. 1.A candidate must be an "Unmarried Male" and "Citizen of India". 2.Candidates appearing for 11th class are not eligible for the exam. 3.They should have passed "HSC" to apply for both the courses. Candidate should be born between, 02 July 1995 to 01 July 1998. Candidates are required to apply online through UPSC website www.upsconline.nic.in. Candidates have to register on UPSC website before applying for any exam. After registering click on the exam link you wish to apply. General and OBC – Rs.100/- to be deposited at any branch of SB in case of offline mode. For online mode payment should be done through Credit Card/Debit Card or Net Banking. No fees for SC/ST/PH candidates.